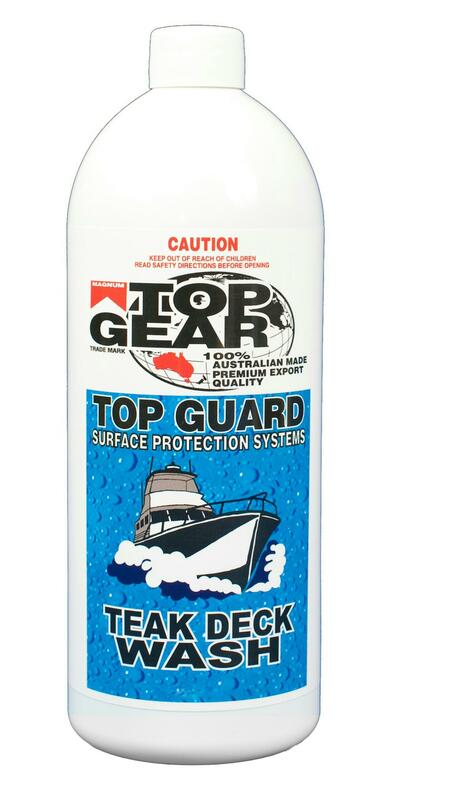 Top Gear teak deck wash part a cleans teak decks with no harmful chemicals. The wash is gentle, non caustic and it's even biodegradable. 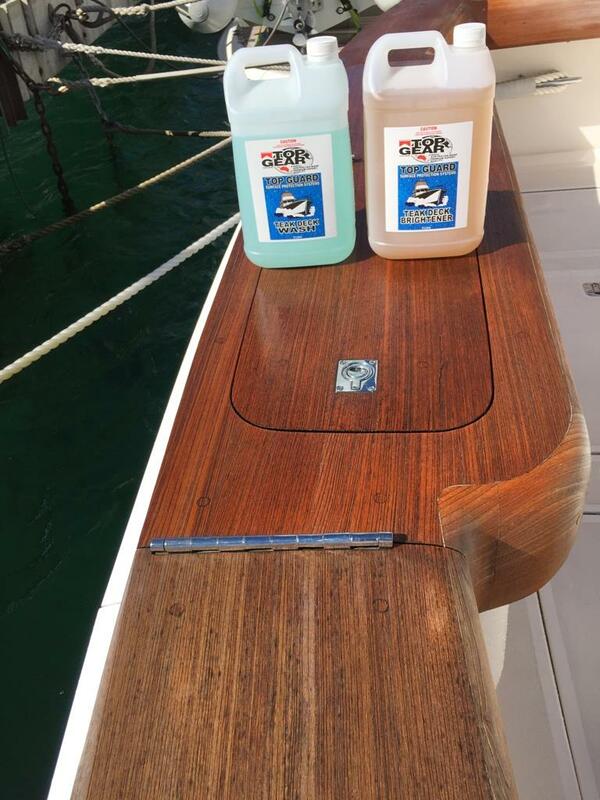 When used regularly it will kill mould, algae and remove most timber contamination. POUR TEAK WASH INTO A BUCKET. 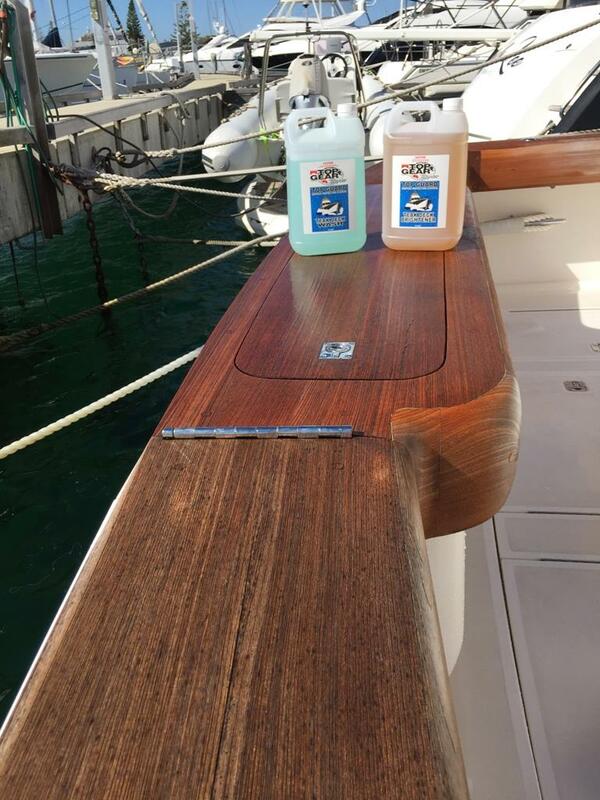 THIS WASH PROCESS SHOULD BE REPEATED UNTIL TEAK DECK WASHES CLEAN. 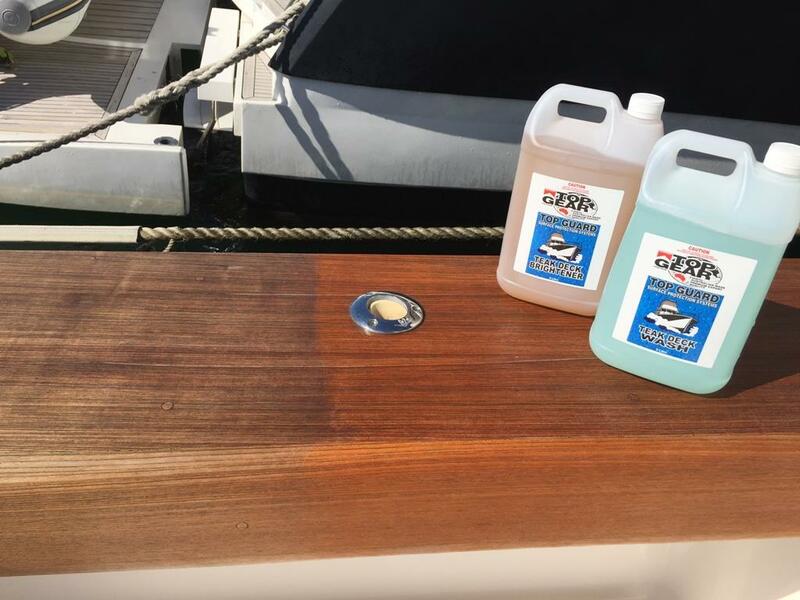 THE TEAK DECK CAN BE FURTHER ENHANCED BY USING TEAK BRIGHTENER AND SEALER.